iP3: The reviews are in: PlayBook not an iPad killer, its biggest hurdle is software! 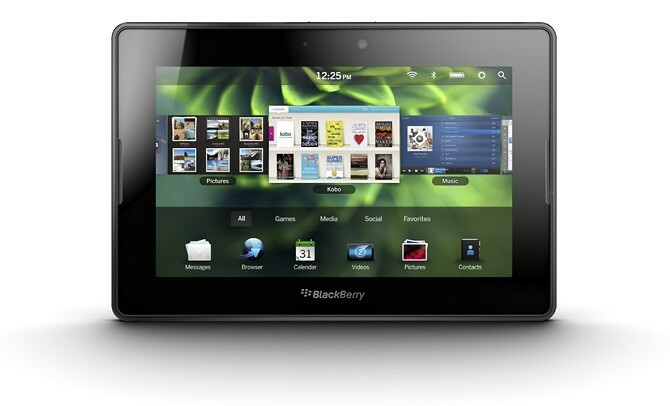 The reviews are in: PlayBook not an iPad killer, its biggest hurdle is software! Remember, the primary competition is an iPad — the same price, but much thinner, much bigger screen and a library of 300,000 apps. In that light, does it make sense to buy a fledgling tablet with no built-in e-mail or calendar, no cellular connection, no videochat, Skype, no Notes app, no GPS app, no videochat, no Pandora radio and no Angry Birds? You should also know that even now, only days before the PlayBook goes on sale April 19, the software is buggy and still undergoing feverish daily revision. And the all-important BlackBerry Bridge feature is still in beta testing. It’s missing important features, like the ability to view e-mail file attachments or click a link in an e-mail. Unlike the iPad, which can run almost all of the 350,000 iPhone apps, the PlayBook can’t run any of the 27,000 BlackBerry apps. It will launch with only about 3,000 apps designed for tablets, compared with 65,000 tablet-optimized iPad apps. During a round of Plants vs. Zombies, gameplay bogged down whenever the animation got intense. Every time I tried to access a Flash game on Facebook, the browser crashed. Yes, every single time. Say goodbye to your well-tended crops, Farmvillians. Another glaring flaw is the PlayBook’s complete lack of native e-mail, contacts and calendar apps. Want those apps? Log on to your Gmail account with the browser. RIM’s WebKit-based browser is about as stable as your bipolar uncle. App ecosystem is lacking. You’ll need to install a driver before you can connect it to your PC or Mac. It’s the software, stupid – someone once said. Nowhere is that more true than in the mobile space where the availability, quantity and quality of apps is the most determining factor for customers. Just ask Google how many Honeycomb-optimized apps they have in Android Market versus about 70,000 programs specifically tailored for the iPad. And while PlayBook will run Android apps via a virtual machine, these are Android 2.2 apps for smartphones, not Honeycomb tablets. Additionally, developers will need to make some changes to their code, apply for the program and repackage their apps for distribution on the BlackBerry App World store. We’re in the war for developers’ resources. Apple’s winning the battle so far and by a large margin, too. No wonder RIM’s boss is whining about the situation and feeling unappreciated.